Monkey Grass looks good everywhere you plant it. It works best when planted around flower gardens, in the sun or shade and even attracts small butterflies and hummingbirds. Plant 2-3 inches deep and it will multiply. Also, with this type of grass, it spreads well too and does excellent near drainage or can withstand drought. Being as hardy as this particular species is, it's hard to find another type of grass to do as well as the Monkey Grass. The growth rate is fast. It doesn't get taller than 8 inches and maintains well when used in small areas of gardening, around porches and sidewalks and also is excellent near ponds. 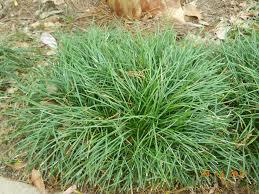 Monkey Grass is the perfect plant to cover any areas and troublesome spots in your yard. It is low maintenance and easy to care for. It is very heat resistant and drought tolerant so that it could be perfect for homes especially during the hot summer days. It is very robust and can be planted in a variety of locations. It can also be transplanted and moved quickly. This allows you to change its sites as well as divide it into separate pieces. Monkey Grass is high enough to withstand diseases and any plant-eating pests. There is also a wide variety of the grass. Some grow in the sun while others can become in the dark, shaded areas. They can produce beautiful summer blooms ranging from white to purple that later change to growing berries in the fall. Monkey grass spreads quickly to fill in those empty spots in gardens and is the perfect lawn substitute. It can be built going down slopes, in small spaces, underneath trees, and within different types of plants. Monkey Grass is an excellent addition to any landscape and would undoubtedly be a great view.